Learn the tips and techniques to attach and join shade cloth, to ensure you get exactly the finish you need for your Coolaroo project. Whichever product you choose, shade cloth offers the ideal blend of durability and flexibility. As a result, it's perfectly suited to a variety of applications: from protecting your garden or your guests from the harsh conditions of the great outdoors, to keeping backyard accessories in pristine condition. If you're going to get creative with Coolaroo shade cloth, chances are you'll need to thread your product and fix it to different surfaces or materials. We're going to cover off the basics with some common techniques you can use to join your shade cloth, or attach it to wood, metal or steel structures, and more. Depending on the outcome you're hoping to achieve, there are several ways to thread and join your shade cloth for a sturdy, dependable result. Sewing is the most effective way of joining shade cloth. 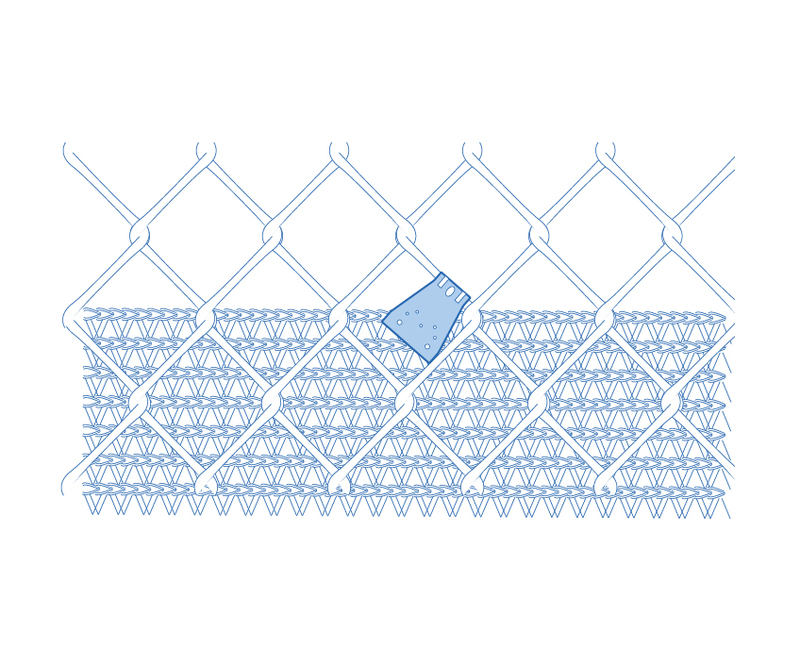 It is also used to create a wrap-around hem, a technique which is suited to attaching shade cloth to posts or poles. An example of a wrap-around hem, fixed to a post. We recommend using a sewing machine for speed, ease and efficiency, but a needle and thread will work just as well. Before you start sewing, it's important to select the correct sewing needle size and make sure your choice of thread is appropriate for the project. Sizes refer to the diameter of the needle and range from size 60—at the finer end of the spectrum—up to size 120. For sewing with shade cloth, we recommend using a needle in the range of size 90 to size 110. These needle sizes are suitable for working with denim, upholstery fabrics, PVC, and vinyl. Whenever stitching for an outdoor project, we recommend using a durable thread with resistance to UV exposure and mould. These threads can be a little more expensive initially, but they ultimately save you in the long run; there's less chance of having to replace the thread or re-stitch your project. 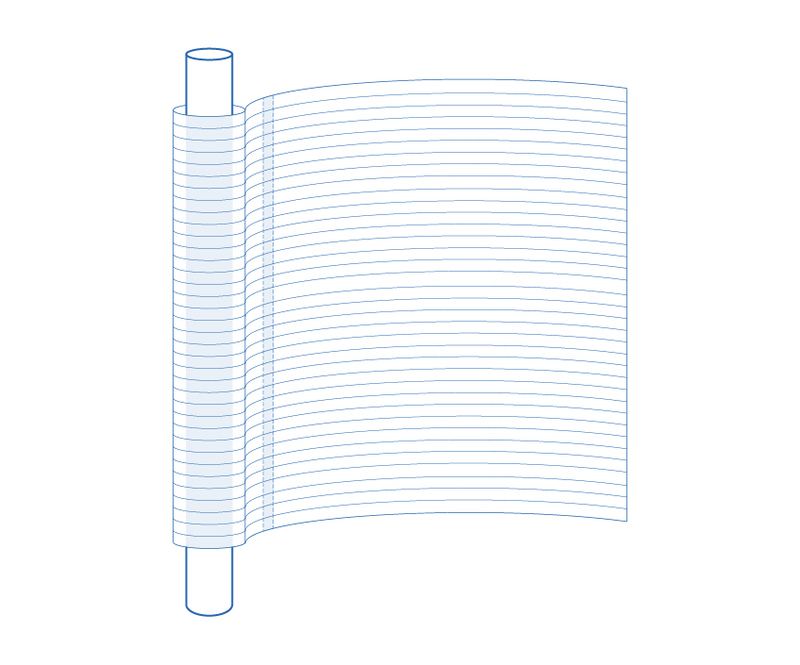 These 'lifetime threads' are crafted from polytetrafluoroethylene (PTFE), and are commonly used by shade sail manufacturers. 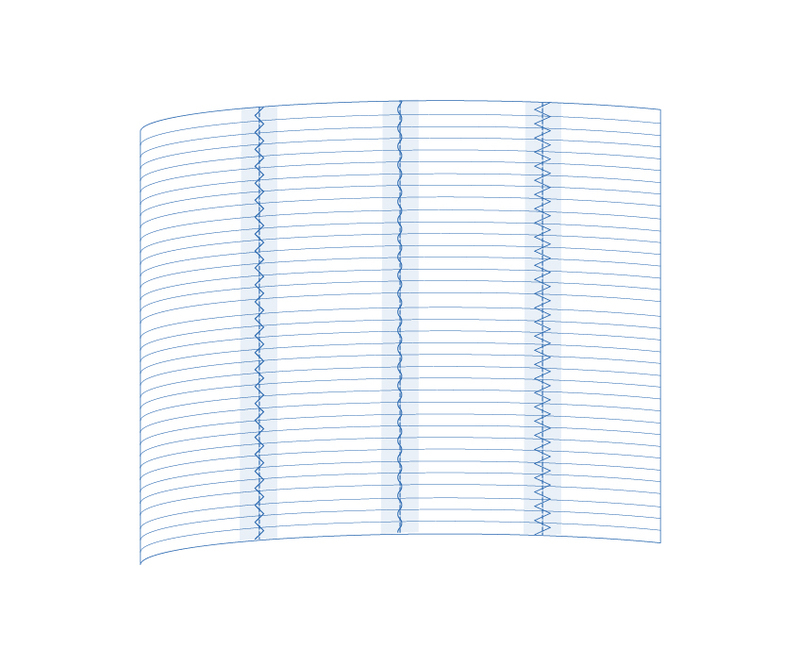 Alternatively, you can also use a UV-treated polyester as a cheaper, but still highly durable, solution. Once you've measured out the desired length of your shade cloth, cut it to size using heavy duty scissors, a utility knife, or our purpose-designed Coolaroo shade cloth cutter. Simply feed the shade cloth into the mouth of the cutter and pull it along your desired cut line while keeping the fabric taught. To create a suitable sized hem, measure the width of the pole you intend to wrap the material around, then add a little bit of extra space to create a medium-to-looser fit. You don't want the cloth to hang loose, but it will be difficult to wrap around the pole if it's too tight. 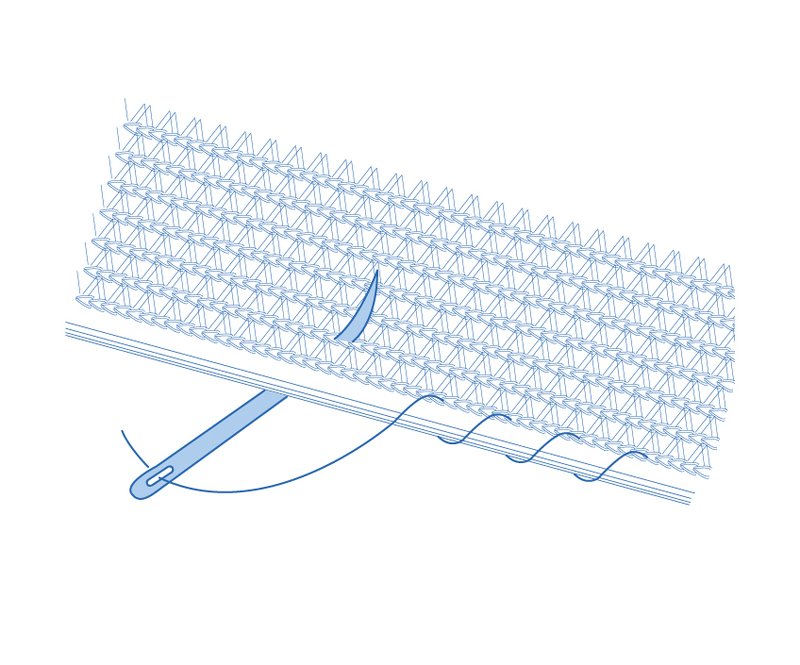 You can attach the shade cloth onto itself using a variety of stitch-styles. 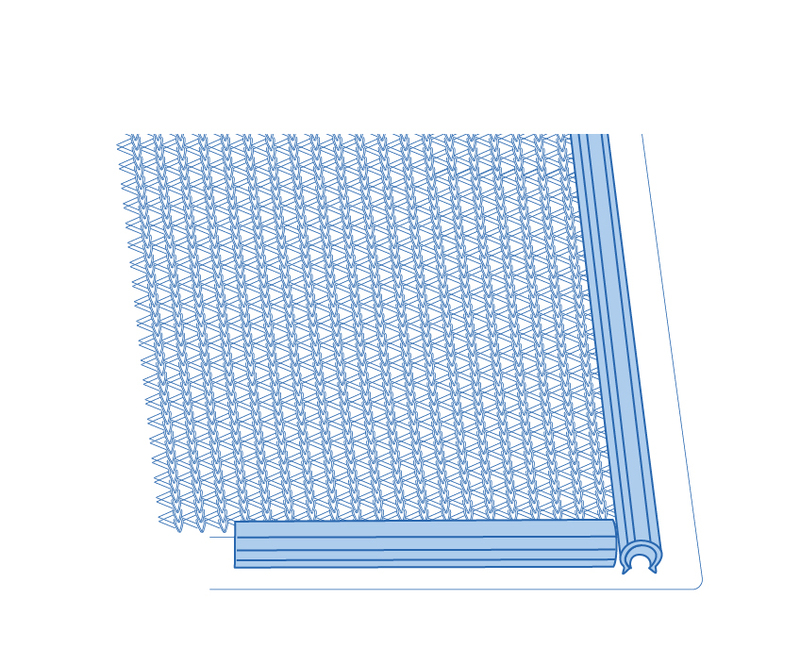 Most fabricators use a 'straight stitch', which involves a thread on the top of the fabric interlocking with a thread on the bottom at regular intervals. 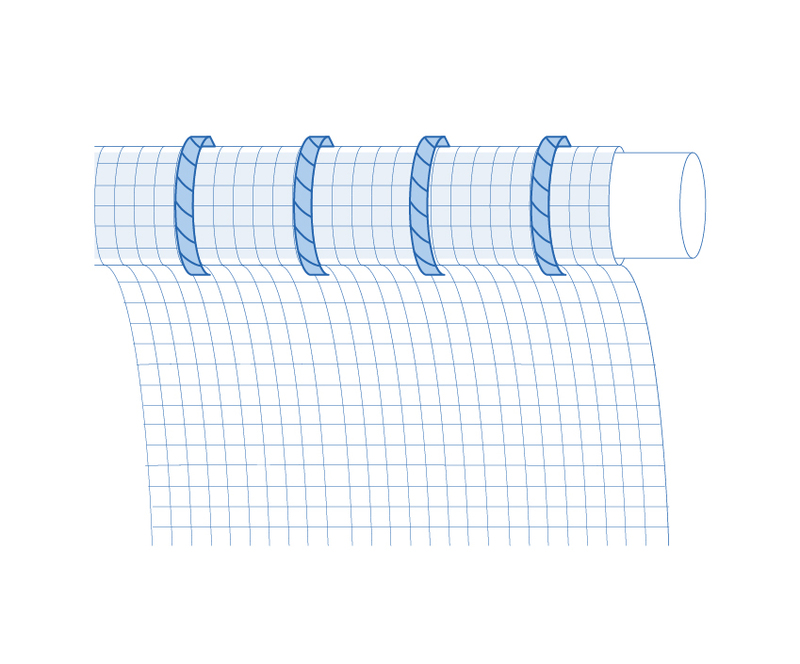 You can also try a 'zig-zag stitch', which is a back-and-forth style stitching pattern designed for increased durability. Examples of stitching patterns, including two varieties of zig-zag stitch, and a straight stitch in the middle. Don't have a sewing machine? Don't worry, there are other quick and easy ways to attach your shade cloth to itself or to alternative materials. The Coolaroo Lacing Cord Kit is ideal for attaching shade cloth fabric to poles, and is also particularly useful in joining cloth to steel posts or PVC pipe. Simple tension the shade fabric to a structure and sew approximately 10-20mm in from the edge and 100mm apart. 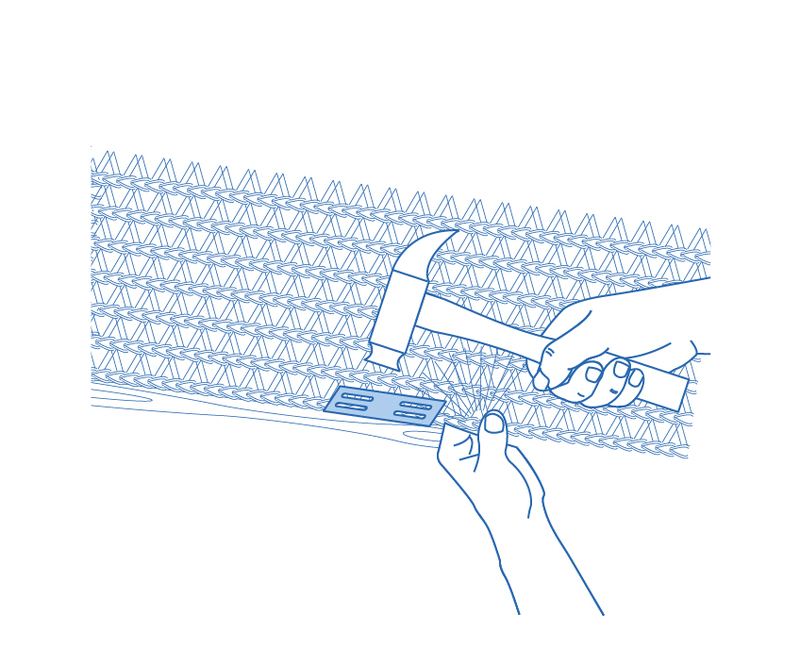 Lacing Cords are particularly handy when attaching shade cloth fabric to metal posts, steel cables, PVC pipes, and other areas tie wraps can't wrap around. Coolaroo Tie Wraps or cable ties are also an effective and easy method for creating a wrap-around hem or joining multiple lengths of shade fabric together in order to extend the span for larger applications. They can also be used if fixing shade cloth to cyclone fencing. The above techniques are useful joining methods for smaller projects around the home or backyard. However, if you've got a larger application in mind—for example, creating a large wrap-around shade structure to protect a boat, or attaching shade cloth to sizable timber frameworks to create a greenhouse effect for a garden—chances are you will need to attach your shade cloth with an alternative approach. Attaching shade cloth to rope, wire cable or fencing mesh? Butterfly clips are the perfect option. The clips feature interlocking grip teeth to hold your shade fabric tight and ensure a secure attachment to wires or ropes with a small circumference. Attaching shade cloth to timber structures, pergolas, fences, or shade houses? Timber studs are made from galvanised steel for durability and come in convenient packs of 50. With the fabric taught, simply hammer them into position every 200mm—approximately 5mm in from the edge of the timber. Alternatively, timber fasteners are available powdercoated in four common colours, designed to blend seamlessly with a variety of shade fabrics, including green, mustard, grey, and black. They are used similarly to Timber Studs however the longer length is better suited to wider spans. 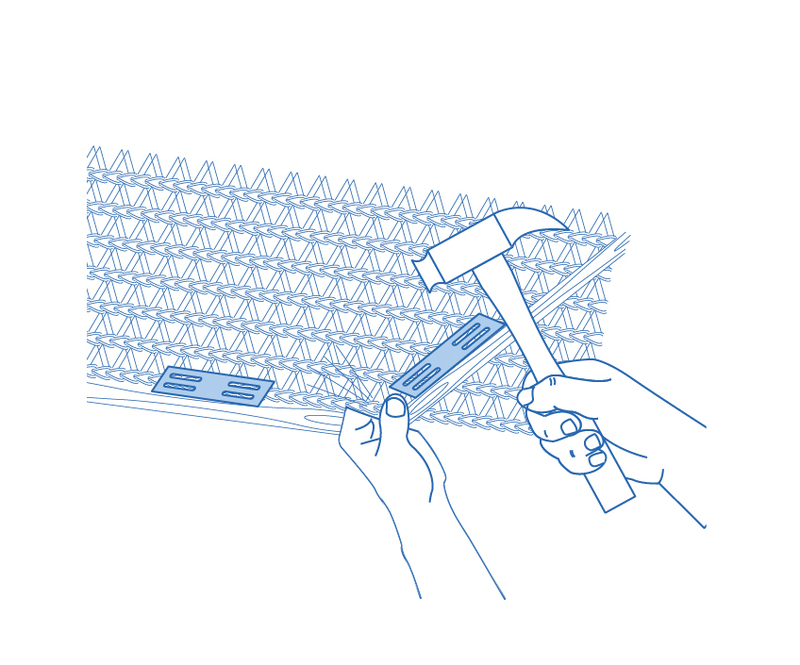 There are also a range of purpose-built accessory kits designed to make the process of attaching shade cloth to large timber frameworks simple and efficient. The Coolaroo Ezy-Fix accessory kit provides everything you need to easily join larger lengths of shade fabrics to timber frameworks, without the need for sewing or fixing devices. Simply screw the base rods in place, tuck your shade cloth over the ridge created by the sleeve, and hammer the locking sleeve on to fix the shade cloth. With the techniques and products you need to fix shade cloth to metal, steel, and wood, you can tackle all sorts of projects in the backyard. Our six unexpected uses for shade cloth aren't the only ways to make the most of your fabric. There are many other projects and applications for shade cloth, once you get creative. So, what are you waiting for? 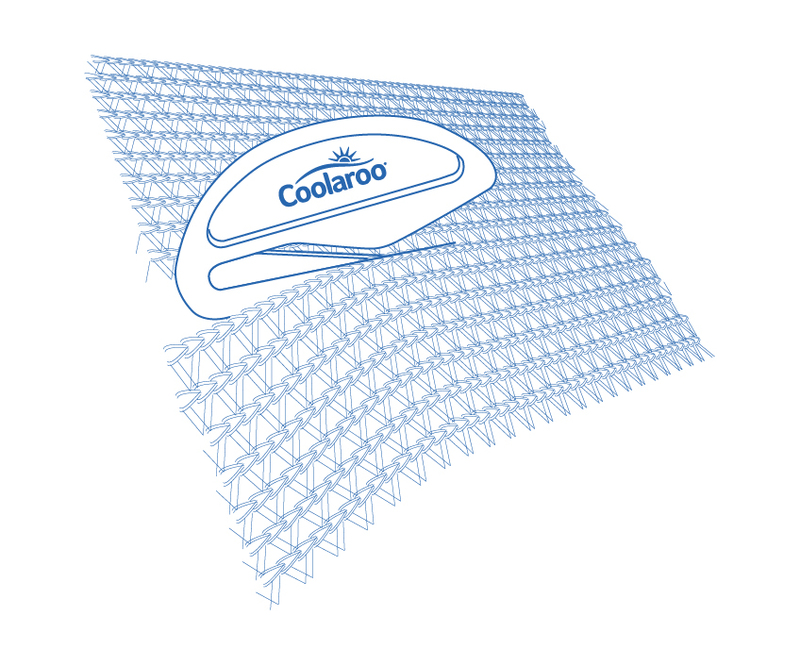 Choose the right Coolaroo shade cloth for you and get started!